Here are some cases to give you an idea of the clinical cases that can be treated with acupuncture and achieve very good results. 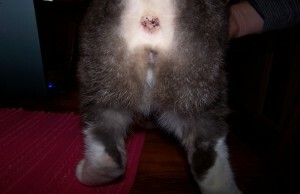 Fluffy was an 8 year old long haired cat that was losing her hair around the back of her hind legs and on the lower part of her belly. Although the owner did not see her pull the hair out, over-grooming was the most likely cause. As there was no evidence of fleas and the owner had been using flea control, Fluffy was diagnosed with “Over- grooming” which was due to a behavioural problem, where a cat is stressed for some reason and finds comfort in grooming which eventually causes thinning the fur. Fluffy was treated with behaviour modifying drugs but continued to lose more fur along her back and down the back of her hind legs. 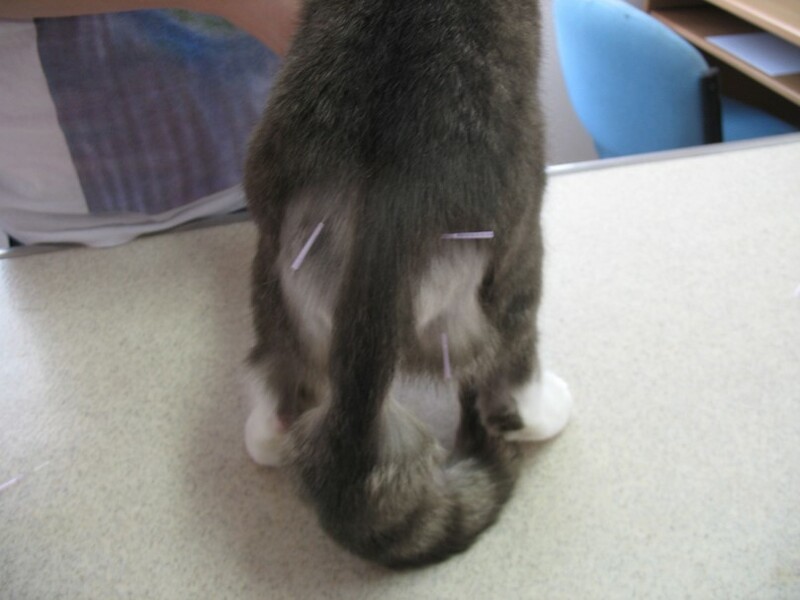 Not sure what to do next, Fluffy’s owner decided to try acupuncture. 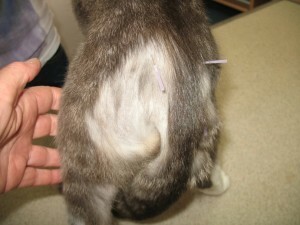 On careful examination, Fluffy was found to be painful at the base of her tail and along the lower part of her spine. After three acupuncture treatments, there was no pain and the fur grew back. 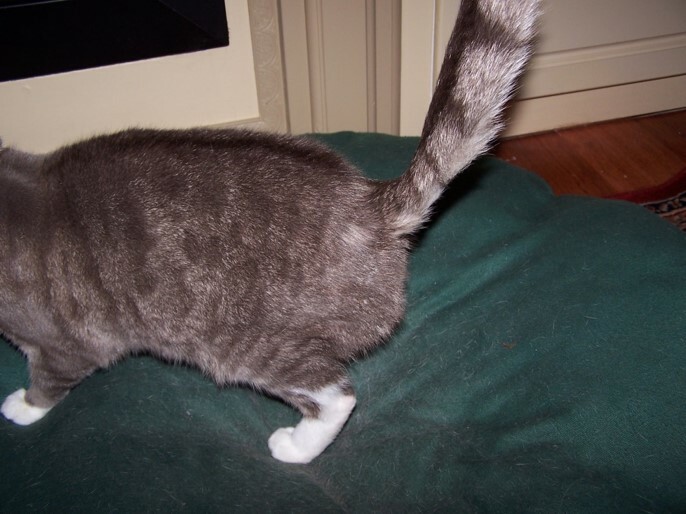 Because cats cannot tell us what they are feeling, it was suspected that she may have been experiencing a tingling sensation that radiated from her back to her legs, causing her to over-groom the back of her legs and belly, just like we would rub an area that was tingling. Fluffy has continued to live up to her name and has remained fluffy.